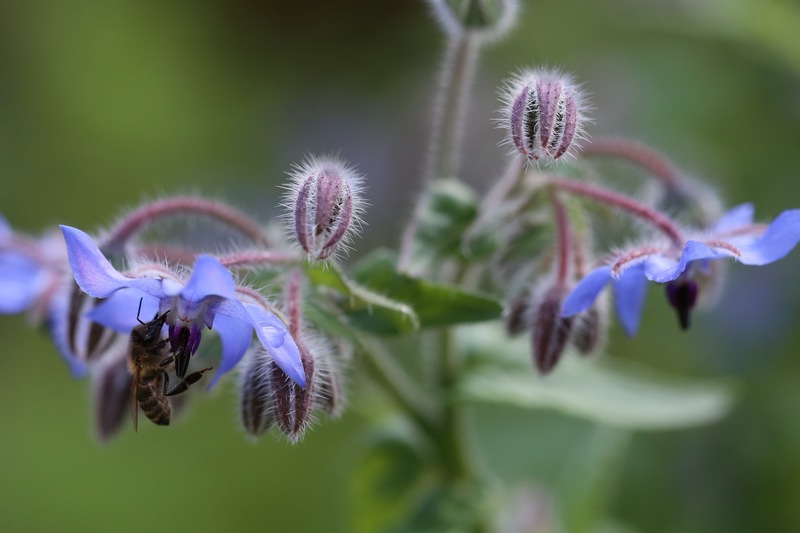 Wordless Wednesday – Borage for Bees! I rarely post photos of my own garden. I work as a gardener, which means our garden at home takes second fiddle and often has the look of cobbler’s shoes but I do try to grow as many plants that have wildlife value as possible. This is my first time of joining in with Carol at May Dreams Gardens for GBBD, I am a little late, apologies! 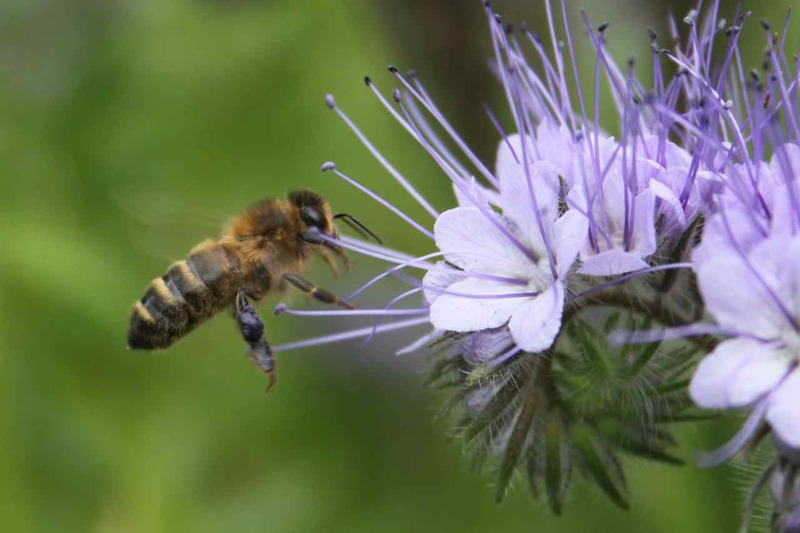 Phacelia tanacetifolia is on the top of my list for Bees and pollinators alongside Nepeta ‘Six Hills Giant’. 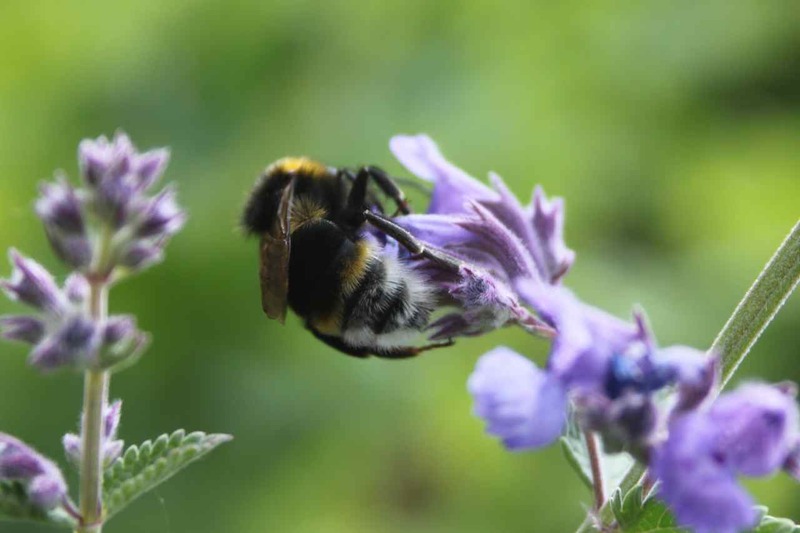 We grow Nepeta both as a hedge and dotted through the garden, plants in full sun attract the most Bees. Nepeta ‘Six Hills Giant’ with stripey bottomed bee and no pollen balls – ident appreciated! 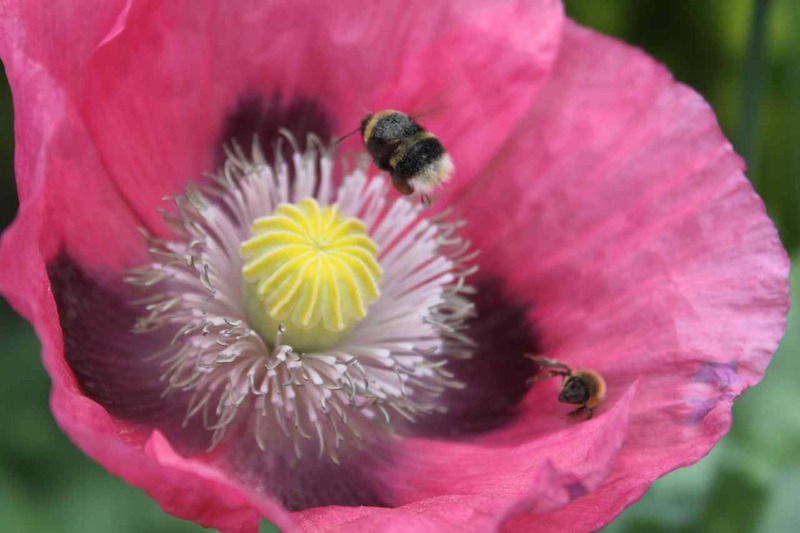 Early Morning when the Opium Poppies, Papaver somniferous are fully open they are the first to attract awakening Bees, by early evening the petals begin to close up and Bees have long switched to the blue brigade. On the left of our East facing dining room window we have a large climbing Hydrangea petiolaris, in the winter we watch lots of birds flitting around the bare branches, once the flowers are open Bees are attracted too. 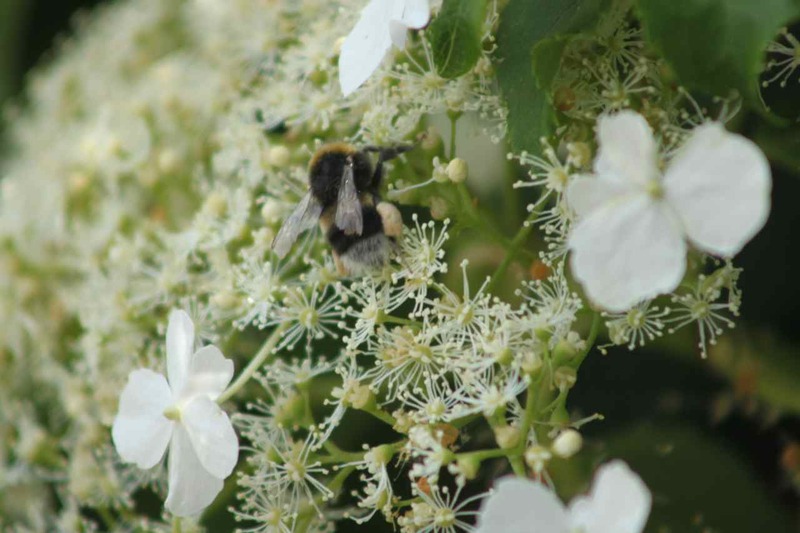 Hydrangea petiolaris with White tailed bumblebee Bombus lucorum and clearly seen pollen balls. I grow both wild native Foxgloves Digitalis purpurea and I save the seed and re sow any that spring up as white in another area of my garden. I read Foxgloves attract long tongued bumble bees only, I am not yet sure which bees have long tongues, but hopefully my foxgloves are helping. I shall watch out to see if either colour is preferred. 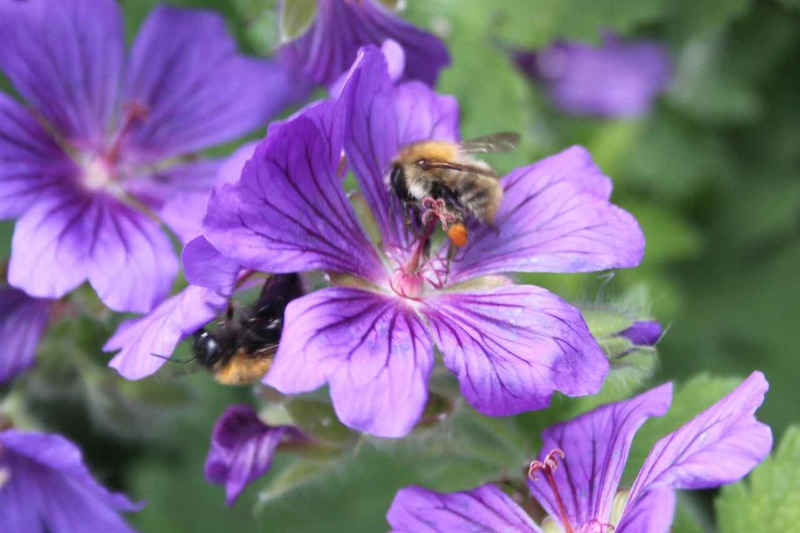 Other plants in flower at home attracting Bees and other pollinators this month are Aquilegias, Borage, Chives, Polemonium – Jacobs Ladder, self sown Nigellas, Alliums and the aphids sticky sap on my Apple trees, I wonder why? 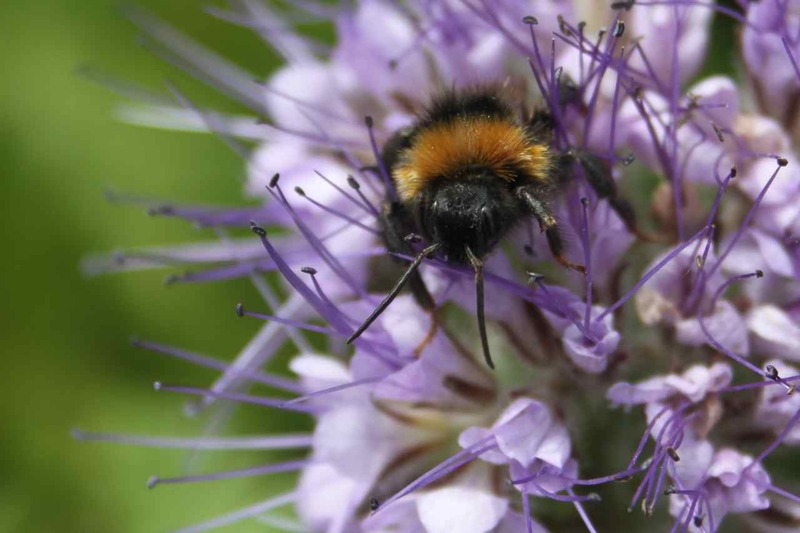 We have a wonderful organisation over here called Buglife with an excellent website highlighting the desperate flight of Invertebrates, did you know in the UK , half of our 27 bumblebee species are in decline. 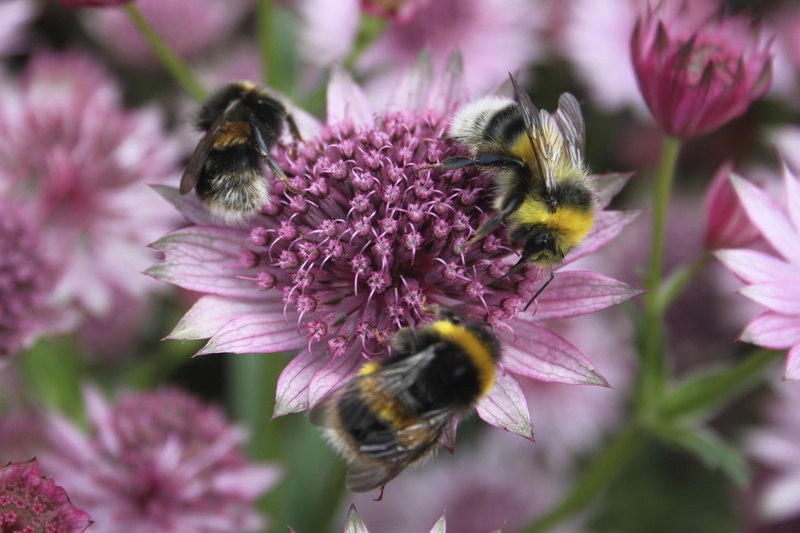 Three of these bumblebee species have already gone extinct. 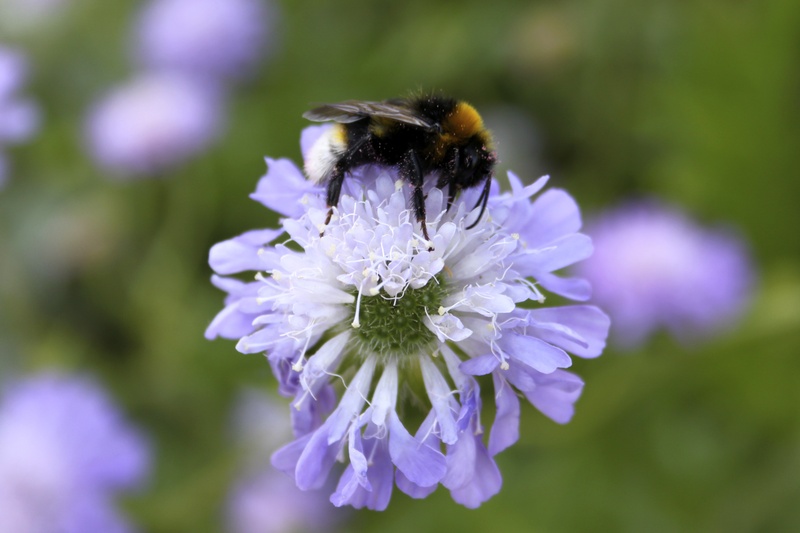 Seven bumblebee species have declined by more than 50% in the last 25 years. 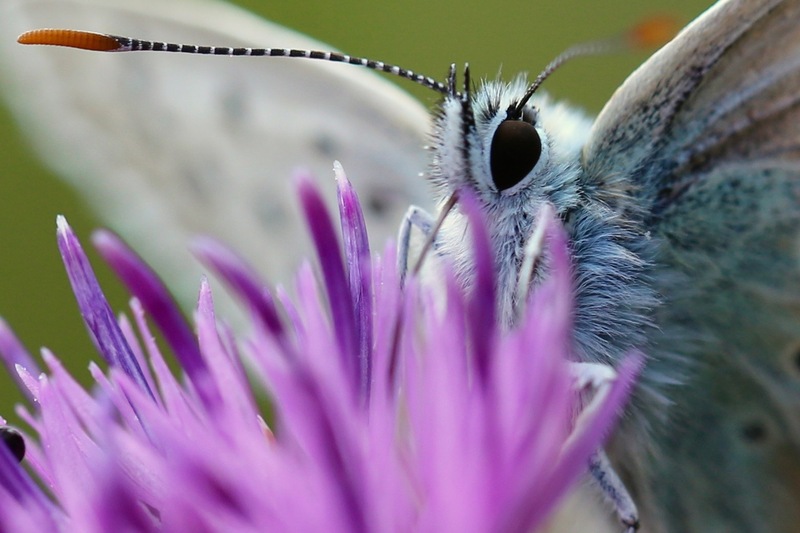 Two-thirds of our moths and 71% of our butterflies are in long term decline. 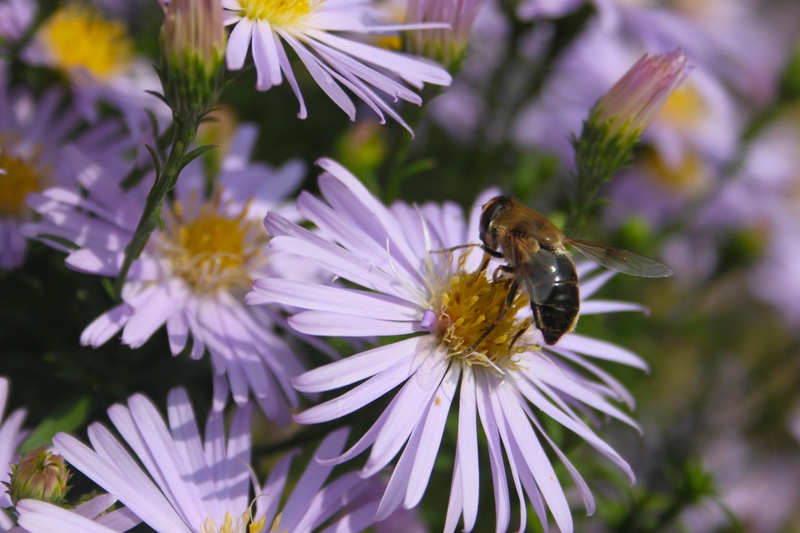 Across Europe 38% of bee and hoverfly species are in decline; only 12% are increasing. 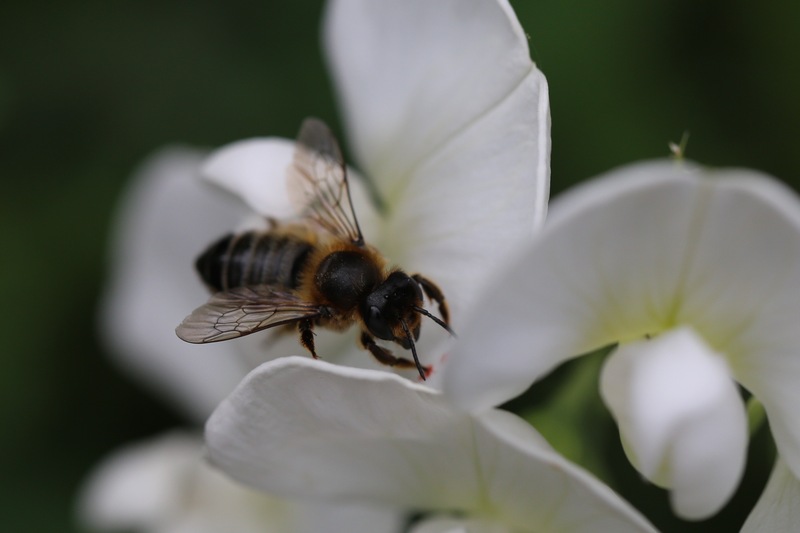 It is estimated that 84% of EU crops (valued at £12.6 billion) and 80% of wildflowers rely on insect pollination. We shall all go hungry if we do not get on top of this.